Rob Gronkowski knew whether the Patriots won or lost Super Bowl LIII that he would face questions about his future, which is exactly what happened in his post-game press conference. Gronk, now a three-time Super Bowl champion, said he would decide on his future over the next few weeks. For now, he's just focused on the party. 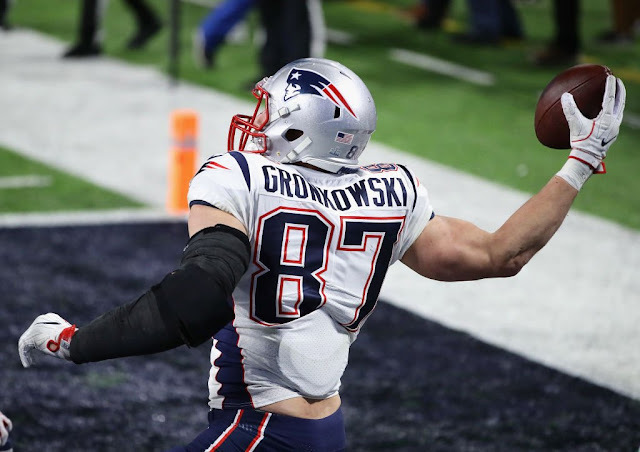 Gronkowski came up huge for the Patriots in his team's 13-3 triumph over the Rams, catching six passes for 87 yards, one of which set up Sony Michel's game-winning touchdown in the fourth quarter. The big tight end turns 30 in May and dealt with a multitude of injuries, which hampered his performance all season.